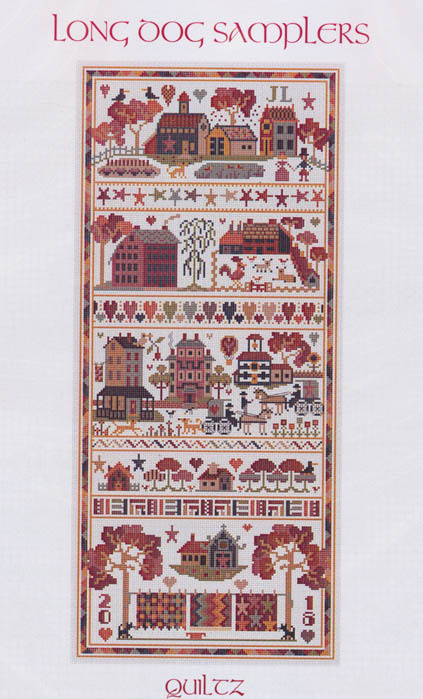 Beautiful Autumn Sampler with 4 sections showing town,m country and more. The bottom pannel has a country home with three fall quilts hanging on line. Count: 130 x 298. 21 points will be rewarded to you when you buy this item. You must be a registered customer to receive points.